BT Openreach has added a further 178 exchanges to its fibre deployment programme in the UK. These exchanges – the majority of which will be enabled in 2012 – cover more than 1.8 million homes and businesses. 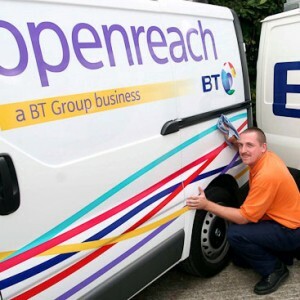 Once these and previously announced exchanges have been upgraded, Openreach will have completed around 80 per cent of its commercial fibre footprint. This footprint will cover two thirds of UK premises by the end of 2014. More than six million homes and businesses already have access. The current average downstream speed in the UK is 6.8Mbps but Openreach’s mainstream fibre broadband product delivers speeds of up to 40Mbps and these will roughly double in 2012.